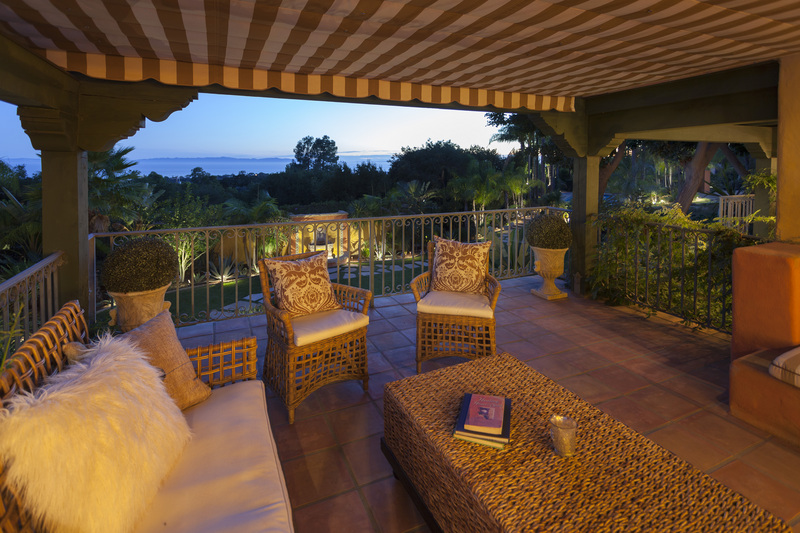 This enchanting villa is situated on just over on acre in Santa Barbara, California. 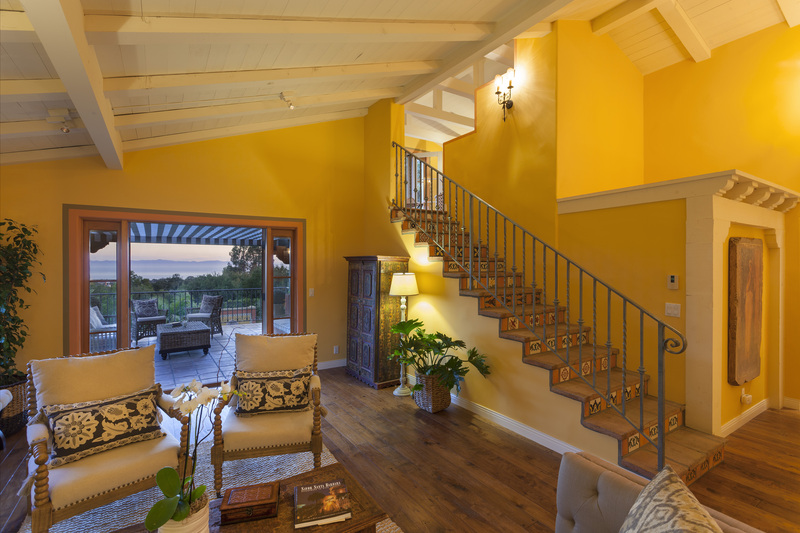 As you first enter the property you’ll feel captivated by the alluring setting. The iron and glass doors open to find a beautiful home featuring high beamed ceilings, wood & tile floors & custom iron fixtures throughout. 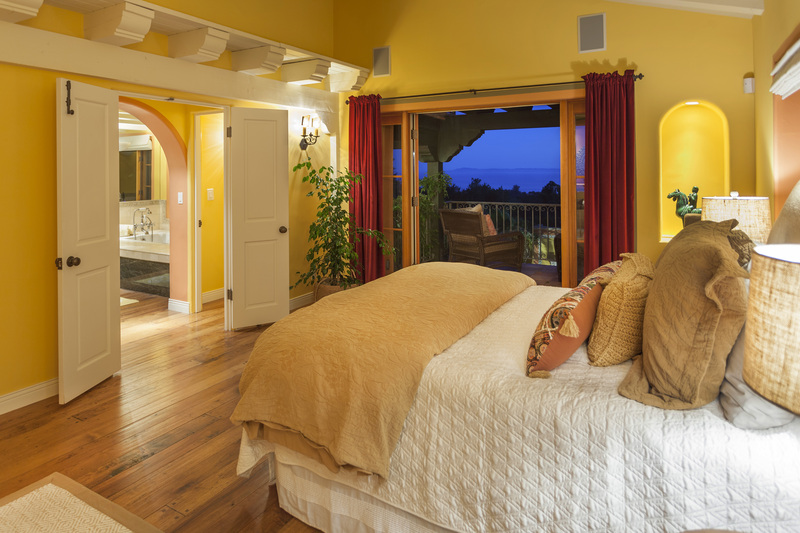 The living room and master suite open out to generous terraces with ocean and island views. Just outside next to the temperature controlled wine cellar you’ll find an outdoor fire-pit to gather around and enjoy on a starry night. The grounds include sprawling lawns, palm trees, fruit trees, fountains, a pool and BBQ area. 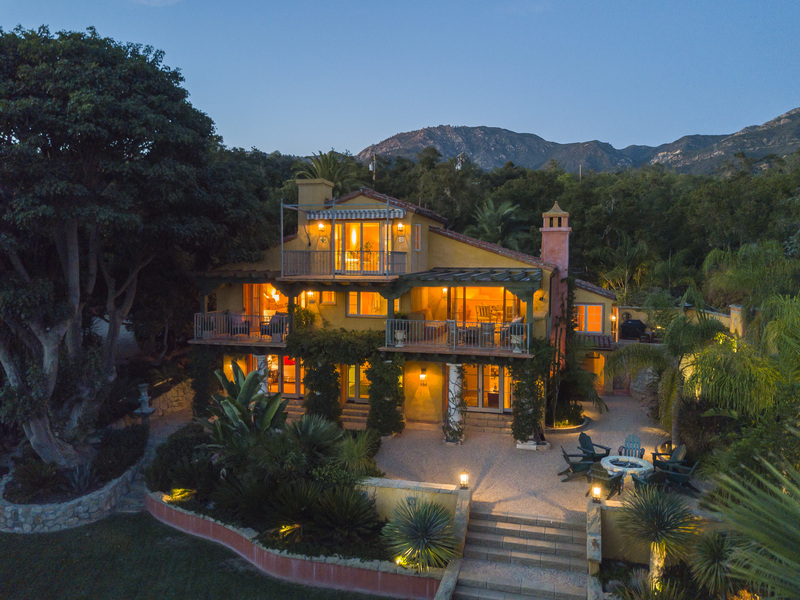 This home is perfect for entertaining and resort style living. 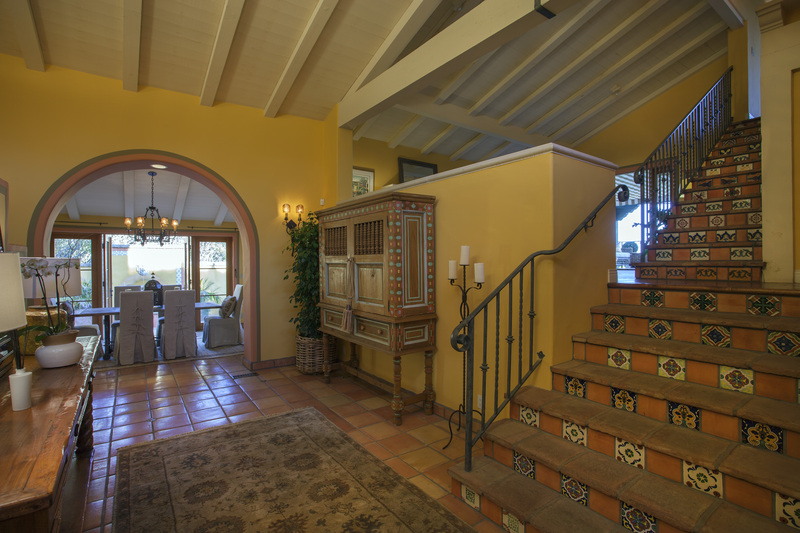 This home is listed for $2.895 million with Village Properties and is showcased by Luxury Portfolio.